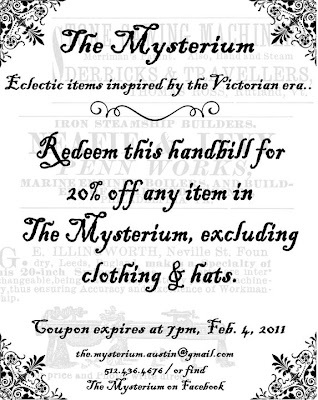 Turner's Tokens: Austin's The Mysterium Coupon: Valid until February 4th! 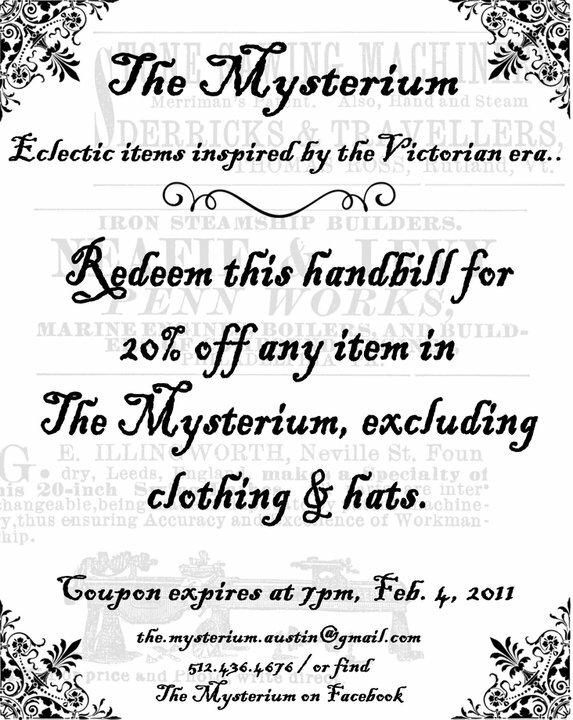 Austin's The Mysterium Coupon: Valid until February 4th! Want to buy something online from them? They now accept PayPal! Don't forget to print the coupon and take it with you! It is valid on sale items!